In most occasions, hibiscus yellow leaves are temporary as they can correct themselves. This is usually due to stress caused by a range of reasons, mostly environmental influences. But when they don’t change back to the normal green color or more leaves have turned yellow, pruning is definitely required. The changing of leaves to yellow and sometimes red and eventually brown is a result of various triggers. Whatever the cause is, it indicates a problem that should be resolved immediately. Let’s reveal the causes one by one to have a more understanding and knowledge on how to repair the damage. 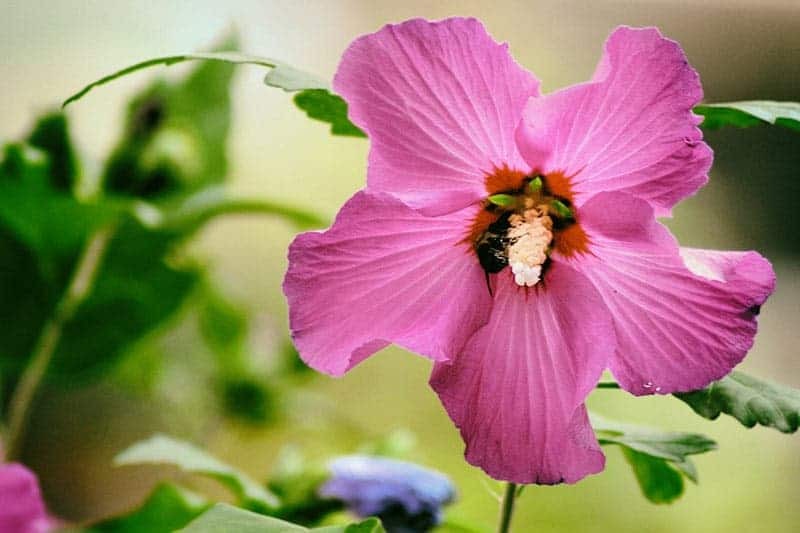 The beautiful flowers of hibiscus plant attract not only insects that help in the pollination, but also unwanted pests that do nothing but bring damages. 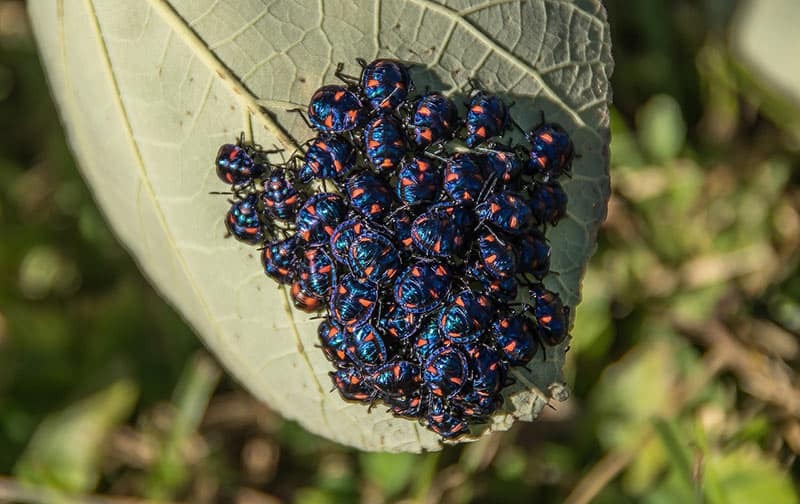 The leaves are the number one spot where these insects thrive, which explains the transition of color. You can easily get rid of these by using a natural or organic pesticides or simply picking them and throw them off the garden. You should be observant of signs of eggs which you may quickly eliminate before they can do more harm. Spider mites are a common insect that loves to feed on hibiscus. These are not large, not even clear enough to see by the naked eyes. You have to use a magnifier to be able to see their infestation but it’s best that you do this regularly before the presence of hibiscus yellow leaves. This plant is susceptible to diseases, notably fungal ones. It is usually caused by particular fungi known as cercospora, cladosporium and pyllosticta. 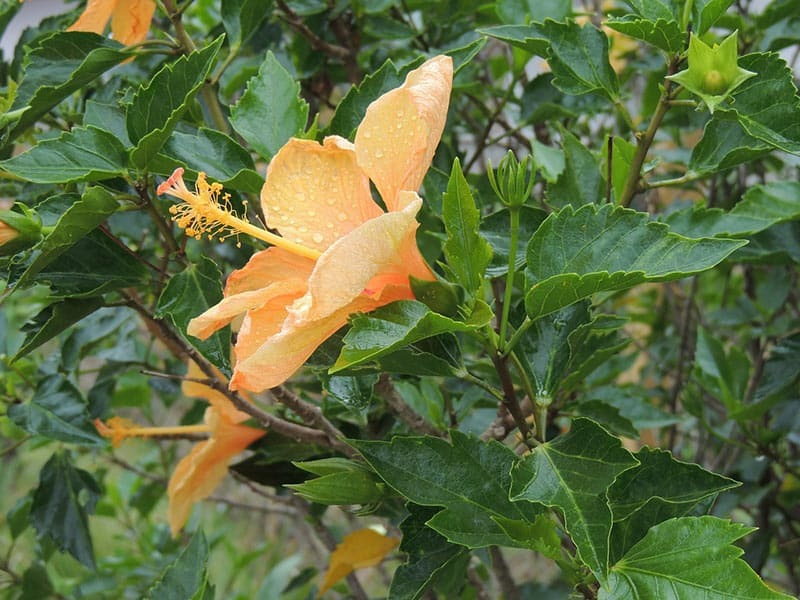 Considered as pathogens, they easily cause hibiscus yellow leaves. You can use one of the high graded fungicidal treatments to prevent it from succeeding. The lack of certain nutrients is also one trigger causing hibiscus yellow leaves, spots or holes. Often times, the yellowish color is only partial but can become full or more. So do not wait until most of the entire plants have been consumed with yellow leaves or damages. To fix this, test the soil if it needs improvement. You can use a soil meter to check the pH level. If the result is positive, then soil needs to be surrounded by organic matter to increase the level and add more nutrients to be absorbed by the plant. There is such thing as too much and less water in plants and either of these can cause hibiscus yellow leaves. Usually, this plant requires plenty of water, most significantly during summer or hot weather days. But be careful that you do not over water causing the soil to be soppy wet instead of moist. When you water, pour on the soil and not above the plant. Hibiscus yellow leaves are developed due to the environment as well. It is easy for the plant to react during environmental changes, such as seasonal transition in which temperature either drop down or rise up. It may also be caused by air moisture, too much water in rainy conditions, freezing and drought. Sunlight is also a factor of damage in hibiscus plant. If it’s exposed with too much light, it causes hibiscus yellow leaves along with some white spots. You can easily correct this by adding more water instead and if doesn’t work, it’s best to remove that damaged part and continue caring for the rest of the plant. In addition, make sure to keep the plant shaded at times because direct sun exposure can cause stress and burn. 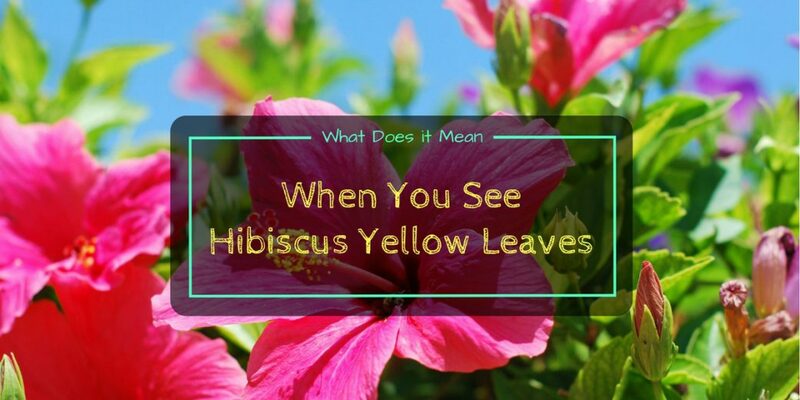 These are the common reasons why hibiscus yellow leaves are present. Once you sorted out the cause, it should be easy to resolve the problem. Nevertheless, practice the basics of gardening as anyone would do to ensure the plant remains healthy and damage free. It is also helpful if you read more facts about the particular species of hibiscus you have to know the needs in taking care of it.